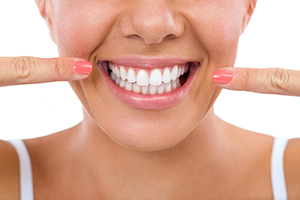 Get teeth that glimmer with our professional teeth whitening dental services! KöR brand whitening uses a special formula that can remove stains and brighten your smile up to 16 shades. Each patient is different and your results will depend upon how stained your teeth are as well as your lifestyle habits. 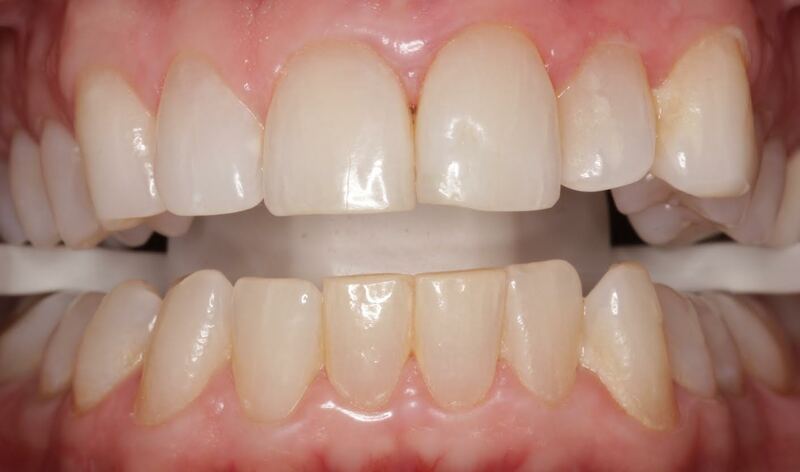 Because KöR whitening bleaches stains, it will always look completely natural, not overly white. In fact, you cannot whiten teeth beyond their natural shade. People with overly white and unnatural looking teeth probably have veneers, crowns, or dentures. With KöR teeth whitening, you will always achieve a shade that looks great on you! When you arrive in our Charlotte dental office, we will take accurate impressions of your teeth in order to create your own custom whitening trays. Unlike other whitening trays, the KöR Whitening Deep Bleaching System trays are thin and actually hold your whitening gel in place, which reduces sensitivity. You will take these trays home with you and use KöR gel while you sleep over the next two weeks. Because KöR uses special desensitizers, you will not have the same level of sensitivity that is common with other whitening systems. Professionals agree that KöR Whitening Deep Bleaching is the most effective system on the market today for several reasons. Because of its unique formula, even people who have recession, sensitivity, and difficulty whitening in the past will get effective results. With home maintenance, you can enjoy a whiter smile for your entire lifetime. 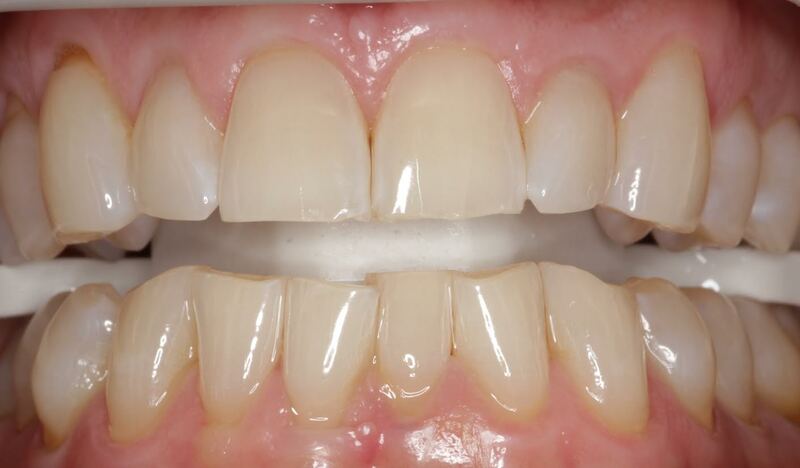 You will retain your custom trays and use them as necessary to keep your smile looking great. Drs. 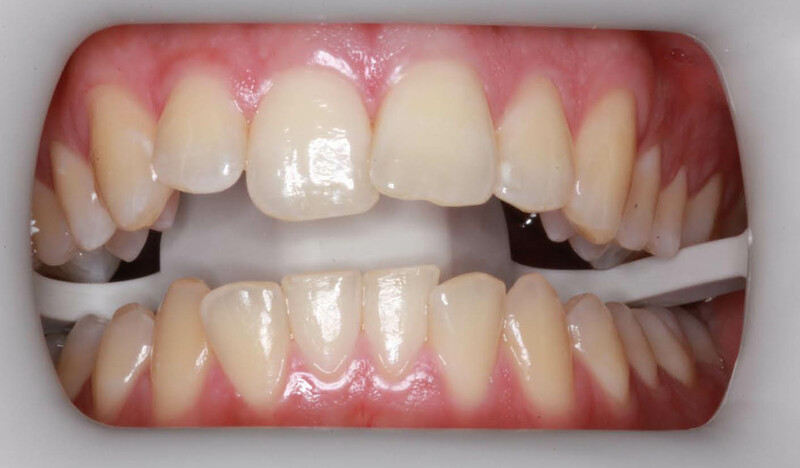 Gregory Camp and Susana Junco will advise you on the best way to use your whitening trays and will take a before and after shade so you can measure your dramatic results. Over-the-counter products may give you some success, although usually with a lot of waste and side effects. Even other professional whitening systems can cause you to have significant side effects including gum tenderness and sensitivity. KöR Deep Bleaching will give you excellent results – up to 16 shades of improvement – in just two weeks. 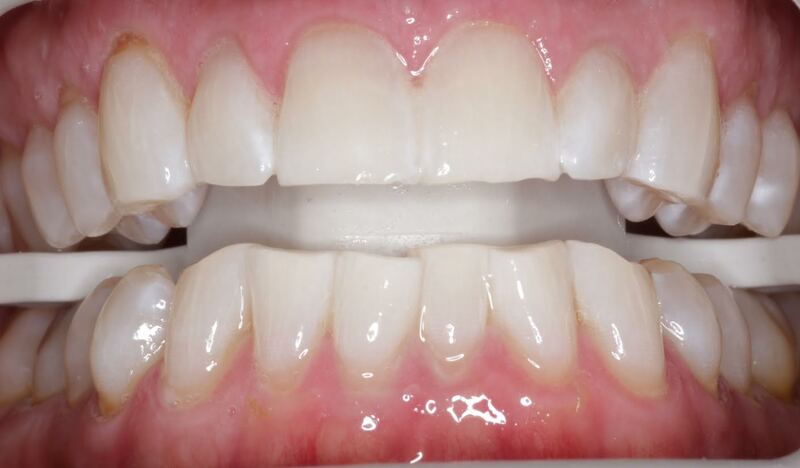 Tetracycline stains or gray stains are the hardest to remove. Dr. Junco and Dr. Camp have tried many different brands and ways of whitening, and the only product that has significantly removed tetracycline or gray stain has been Kor. This is why we use it in this office. Looking for a way to improve the color of your teeth, smile, and your overall self-confidence? At Charlotte Progressive Dentistry, we have the perfect teeth-whitening solution for you: Philips Zoom!. As one of the best teeth-whitening brands on the market, Zoom! Delivers maximum results with the help of advanced LED light-activated technology. Zoom! is clinically proven to whiten teeth up to eight shades. The Zoom! WhiteSpeed Treatment is a very popular teeth-whitening procedure at our dental office in Charlotte. This effective teeth-whitening treatment only takes an hour to an hour-and-a-half to complete, making it ideal for people with busy schedules. When you visit our dental office for the Zoom! WhiteSpeed Treatment, your dentist will check the current shade of your teeth, so you can see the dramatic difference when the procedure is complete. The Philips Zoom! Whitespeed Treatment utilizes an innovative LED light to help dentists achieve brighter, whiter smiles in less time. Compared to other teeth-whitening products on the market, the Zoom! Treatment has been proven to whiten teeth 40 percent better. 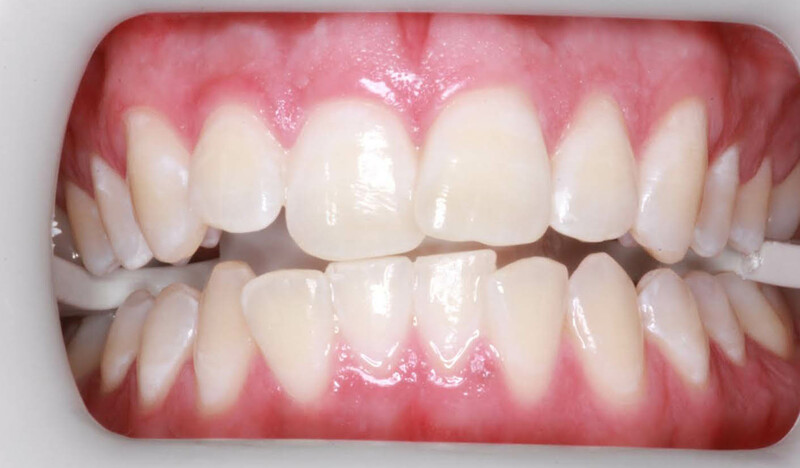 This kind of whitening has proven to be especially effective for teeth that have become discolored due to years of smoking, drinking coffee and wine, and taking certain kinds of medication. 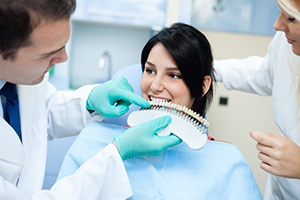 Your dental professional will appropriately prep your mouth and teeth for the whitening procedure. Your dentist will apply a layer of advanced whitening gel to your teeth. To help speed up the teeth-whitening process, your dental expert will shine a WhiteSpeed blue LED light onto your teeth. The LED light features variable settings, ensuring you have a comfortable teeth-whitening experience. The process will be repeated, depending on your dentist’s recommendations (treatments will vary from patient to patient. Your dentist will apply a post-treatment gel to protect your enamel and reduce any sensitivity you may feel. Your dentist will then supply you with a post-treatment gel to help protect your teeth moving forward. They will also give you customized whitening trays that you can take home with you, which are included in the price of your treatment.At Charlotte Progressive Dentistry, we’re proud to be a Top Rated Local® dental office in Charlotte, North Carolina, that specializes in Zoom! teeth-whitening treatments. In addition to our cosmetic dentistry procedures, we also offer general dentistry services for the whole family. Whether you need a tooth extraction, root canal, fillings, mouthguards, or same-day dental emergency care, our professional staff is here to help. 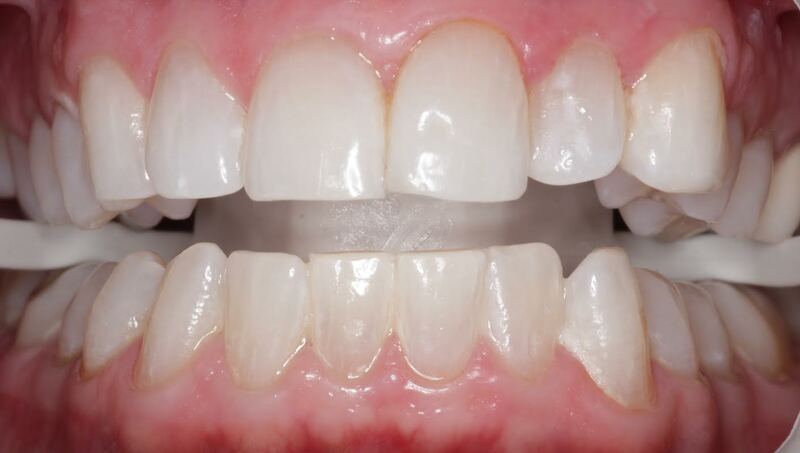 If you have dark stains on your teeth, you might think that whitening will not work for you. At Charlotte Progressive Dentistry, we offer the best and most effective whitening system available today, and we can help even the darkest stained teeth look white and youthful again. If you have a special event around the corner, such as a reunion, wedding, or vacation, we can help you achieve the bright smile of your youth in just two weeks with KöR Whitening Deep Bleaching. Call Us Today for a Whiter, More Beautiful Smile! Our team looks forward to hearing from you. We know your smile is important to you and can’t wait for you to have a younger, healthier looking smile with KöR Deep Bleaching.